one of the many new product lines to come out in late August. I haven't dont any stitching for years now.. but it was coming back to me .. just like riding a bike. No even sure of the names of the stitches... but I am thrilled with my finished pillow case. I still need to buy the proper inner cushion but substituted for now to get a finished photo. with textured stamp and green ink. I then added the twine tied buttons. Next up was the inked leaves and the stamped look for more depth and texture. 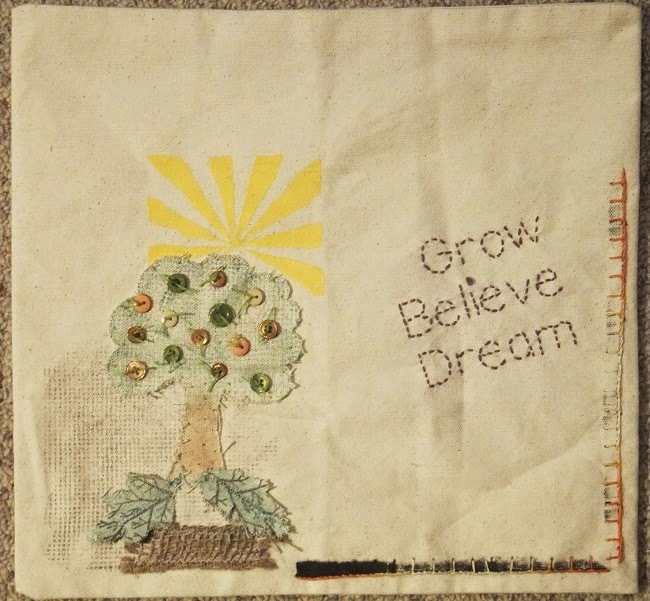 Stamping of the sunburst and the background was next before adding the tree, leaves and piece of burlap. 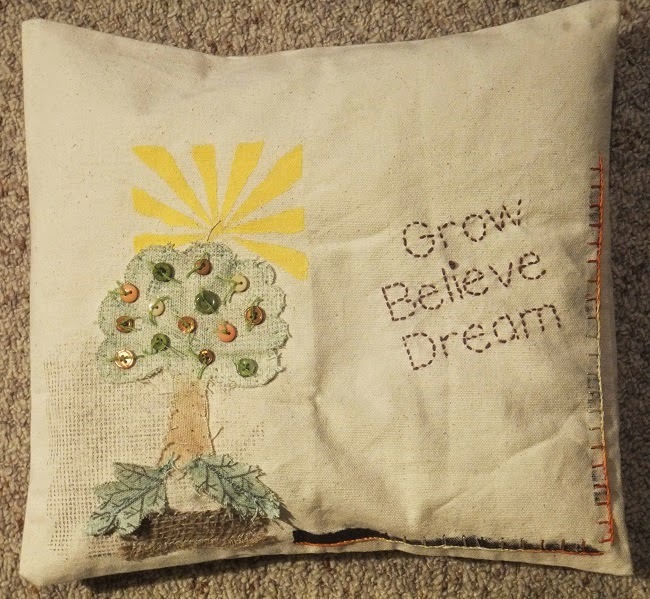 Next I stamped the words which I hand stitched using embroidery floss from my stash. stitch pattern which I then hand stitched over top with a varigated coloured embroidery floss. I didn't worry about the ink splatter.. it added depth and rustic look to my projcet. August 25th.. so be sure to mark your calendar for the newest product lines to become available. Oh my goodness, Bev this is so adorable! I love what you did with the canvas pillow so fun! What a fun way to dress up a pillowcase! Fab!